The foundation for people with LD recognised from families that using direct payments for the services that friends and places together offer would aim to offer better outcomes using peoples personal budgets in the way to achieve sharing direct payment with friends have better saving and offer better value for money. The aim of using Direct Payments (DP) is to help recruit staff for friends to go out in the community and share resource to get more hours for their money. 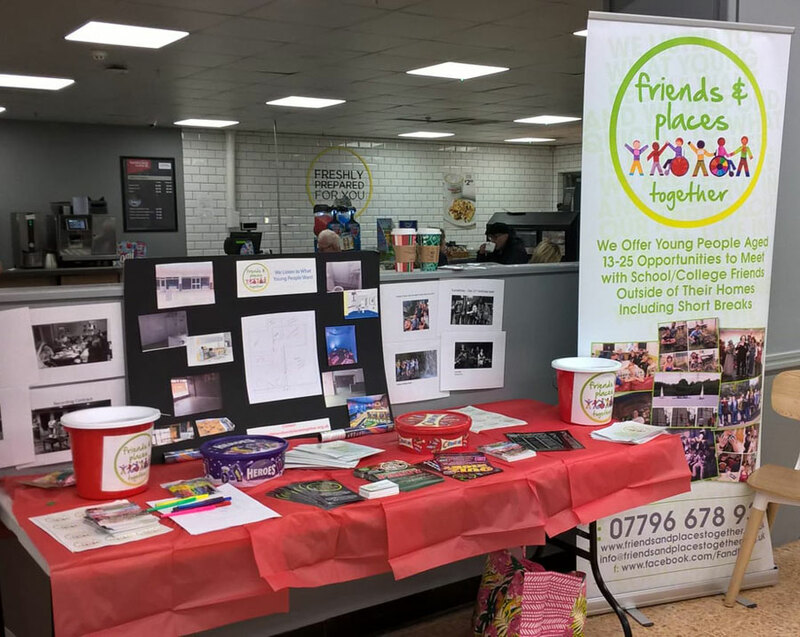 Friends and Places Together (FandPT) recruit young people to support relationships for vulnerable people. All staff are Dbs checked, covered by FandPT insurance and cover training, supervision and on going support to staff and families. We listen to what young people want and put in actions to make changes for better services and outcomes for the future. For example, recruiting a PA to help a young person set up a DJing business. The PA has his own DJ equipment and has skills to help the young person achieve his aspirations for the future. FandPT pay all staff wages and claim hours back to third party agencies or parents, or whoever is holding their personal budget. FandPT are creative with how the DP is used to get the best for the young people that they support. FandPT are directed by both family and young person but the budget for expenses on activities is also taken into account. Some expenses may be covered by children’s social services. When the young person turns 18 years old they may have to pay for expenses by using their DLA, and other benefits. Expenses for example, may include admission fees, a meal and refreshments during an activity or car mileage. If you can’t/don’t cover the expenses, this is likely to limit the activities. FandPT always work with family budgets and this is taken into account with all parties. Some people use their direct payments to pay for Friends and Places Together (FandPT) activities. You can use direct payments if it is a day out in the school or college holiday as part of day support. Any evening activities that we offer may have to get agreement from social worker in adults to use direct payments. Some people are offered a one off payment to use Friends and Places over the year and this helps to pay towards the activities. We do ask for all expenses to be covered but staffing hours covered by DP.